Ask any child what scares them, and you might hear responses like spiders, monsters, and ghosts. Chances are you may also hear the word “dentist” from a few! Just the thought of seeing the family dentist can make many children shudder! Parents play a major role in ensuring that their kids learn and start implementing proper oral health care from a young age. Helping your child become comfortable with the idea of going to the dentist doesn’t just save you a tantrum – it can also set them on the path to lifelong dental (and overall) health. Last month, we talked about what to expect at baby’s first visit to the family dentist. Today, we’ll be going into more depth about how you can make your child’s first trip to the dentist a positive one. Follow these simple tips to make those butterflies disappear! Kids love play. So what better way to get kids accustomed to the idea of a trip to your local Armadale dentist then with a little bit of roleplay? You can start by practising what your child can expect while they’re at the family dentist. Make sure it’s realistic: use a real toothbrush (you might like to use an electric one, so they get used to the sound and sensation), toothpaste, flashlight, a pair of sunglasses, and a cup of water. If you have a reclining chair in your home, try to work that into your roleplay too! And don’t forget to talk them through what the “dentist” (aka: you) is doing either! This shows your child what to expect and teaches them that there’s nothing to fear from a routine dental check-up. And as a parent or guardian, you are the ultimate authority in a child’s life. 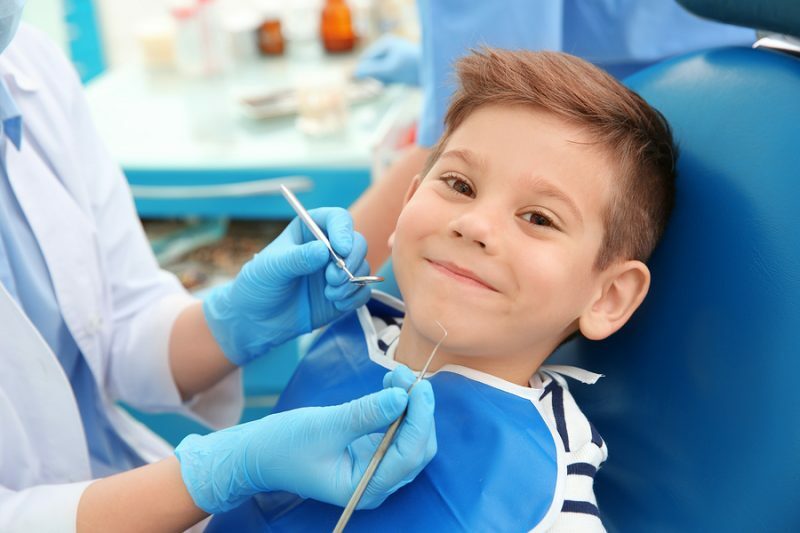 If your child notices you are getting a bit antsy about the idea of taking them to the dentist, chances are they’re going to start feeling the same! Oftentimes, the only way to break this conditioning is to lead by example and show that there’s nothing to be scared of. Keep reminding them that the dentist is there to help them! These are just some of the things you can do to stop anxious thoughts and feelings towards the dentist from taking hold in your child (and sticking for life). Sometimes all it takes to build a positive attitude towards the dentist is a bit of encouragement. Your Armadale dentist understands the importance of building a positive and encouraging environment. We love working with kids – that’s when our best smiles come out! But we can’t do it alone. And that’s where you come in. Boost your child’s confidence by giving them words of encouragement leading up to and during your child’s first dental appointment is a huge help for us. Avoid negative thoughts and stick to the positive. You could even tell them how cool they look in their glasses! This sets the tone for the rest of the appointment and reassures your child. 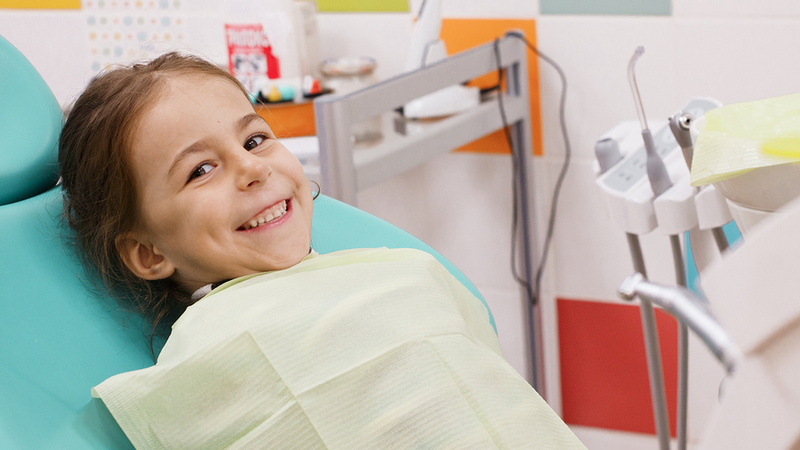 You can even think about rewarding your kids for seeing the dentist too… as long as you avoid the sweets, of course! Many of our phobias are inherited from our parents. So that anxiety you feel around large dogs might be because one of your parents was uncomfortable around large dogs themselves. And in many cases, dental phobia comes from the same place. We touched on this above but honestly, this one’s so important, it deserves its own section! Children are a lot more perceptive than we often give them credit for – they can sense if you’re tense, nervous or unsure about what is going to happen. They mightn’t understand why you’re on edge, but trust us, they can pick up on it. Parents often send emotional cues to their kids that set the stage regarding a trip to the local dentist. This can also build lifelong fears of the dentist in your children. As much as possible, keep your own worries or fears under control and carry with you a positive attitude when taking your kids to the dentist. We know it can be hard, but it’s worth it in the end – for the both of you! Dental treatments for children are different from other ages. It often requires unique tools for smaller, delicate teeth as well as gentler tools. Not to mention, it requires a different attitude as well! If you’ve tried every way to ease the anxiety of your child and if it doesn’t seem to work, choose a family dentist. Why? Because family dentists work with kids all the time. Of course, they have the right tools for the job. More importantly however, they know how to deal with children’s anxieties, fears and other worries. Dental Care Group is an Armadale dentist working with every member of the family, including little ones. We’re proud of the caring, welcoming, and fun environment we promote at our clinic. Our team know how important a comfortable environment is for your children, especially if we’re to build healthy dental habits! For child-friendly dentistry, contact Dental Care Group on (03) 9509 1500 or book an appointment today.